Kim M. Rayner joined the Law Offices of David I. Goldstein as an associate in 1998, and was made partner in 2008. She has over 27 years of experience as a matrimonial lawyer. As such, she has extensive litigation skills, developed through trials regarding custody, maintenance, child support, and equitable distribution. Ms. Rayner’s experience is shown through her ability to form a trusting and enduring relationship with her clients. She zealously advocates for her client in and out of the courtroom, and is an effective negotiator. Ms. Rayner always implements the best possible strategy in order to best suit her client’s needs and achieve each of their goals. She will guide the client through the entire process, considering each and every issue and explain the potential outcomes to her client. She is honest, caring, and will fight to achieve her client’s goals. The New Jersey Administrative Office of the Courts has named Kim M. Rayner, Esq. to the roster of Mediators for Economic Aspects of Family Law Cases in Bergen County, which is a list of credentialed professionals available to mediate financial issues related to parties’ divorce. Issues may include alimony, child support, and division of property. 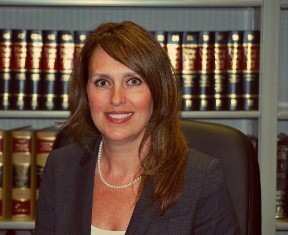 Ms. Rayner is a member of the Rockland County Bar Association, Rockland County Women’s Bar Association, and the New Jersey State Bar Association. Ms. Rayner is a court approved and qualified family law mediator. Ms. Rayner has practiced in State and Federal Courts throughout New York and New Jersey.